UPDATED: F-35 Suffered ‘Bird Collision’, But Israel Does Not Hurry Up To Bomb Syrian Forces After Projectile Lands In Northern Gholan Heights 5.3846153846154 out of 5 based on 13 ratings. 13 user reviews. UPDATE 1: IDF artillery shelled a position of the Syrian army in the Gholan Heights. Pro-government sources have reported no casualties so far. It looks Tel Aviv has suddenly changed its attitude towards projectiles that land in and near the Israeli-held part of the Gholan Heights. Only a short time ago, Israeli was blaming any projectile falling in the Gholan Heights on the Damascus government and responding to this “agresssion” with airstrikes on the Syrian Arab Army across Syria. Now, the Israeli Defense Forces (IDF) say that theis is “a result of the internal fighting in Syria” and don’t hurry up to bomb Syrian government forces. The projectile was most likely a result of the internal fighting in Syria. For sure this is not related to the missile incident that took place earlier this week during a visit of Russian Defense Ministry Sergey Shoigu to Tel Aviv. As long as they stay out of the fight and stop supplying the terrorists, things will get better. For that to happen the Syrian borders will have to be totally under SAA control of course . I wonder if Russia has explained to Israel that ‘ Playing with Terror ‘ will have serious repercussions for Israel. The apparent change of strategy by the Kurds is also revealing and possible due to some damning and undeniable evidence known by Russia of the US and Israel’s actions in the Middle East that would ensure serious harm to Zionist interests. You may be very much in right my friend. Those #$@@ know what they did only too well. They prefer they don’t have to do the goyim dirty work so if they actually go personally then it’s a big problem for them. I wonder if that has anything to do with General Baqeri’s warning during his visit to Damascus. It was unprecedented and I believe the Syrian side and allies were prepared before making such statement. Except in Syria. ….they never work. …never. Only shoot down loitering drones …. Iran has their own mobile BUK M2 knock off….a few other mobile SAM units,..and their own knock off of S 300. If Russia let’s Iran put some of these in near Golan ,Bekka and Damascus. …Israel would go ape. Syria has several BUK M2 units and comparable Intermediate SAM which if positioned near Golan Bekka could indeed catch IAF napping. Being Uber tracking /high explosive fragmentation warhead. …BUK M 2 would indeed shred a few IAF aircraft…. just on % fired. As Edward G Robinson said in Little Caesar, “you can give it out but you’ve got so, you just can’t take it any more.” That should be on Israel’s coinage. When the lies didn’t make sense cover it up with more lies. I will assume since there’s no evidence yet. The projectiles were actually the planes burning up. It was shot inside Syrian airspace but falls on the golan. Israel didn’t go to quickly neutralize the launchers because it failed to locate it. Israel retaliated by launching long ranged missiles at a previously confirmed location of the Syrian radar station. Ideology becomes what it represents due to the authority it presents, the higher the assertion the more authority it contains if it can be sustained, the reason it can’t be reduced is because we recognise communicate and then connect by commitment, an excuse is needed to disconnect, but there is only one valid one thats me. 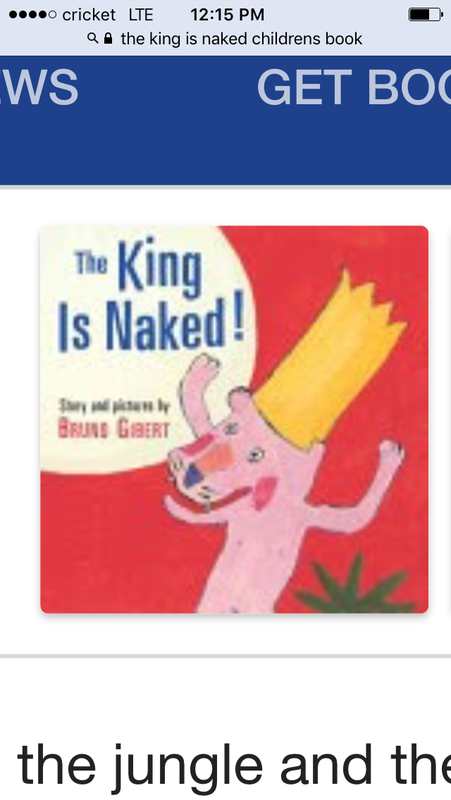 THE KING IS NAKED !! It appears MN that Israeli F 35i were on training mission,….we’re not the IAF aircraft fired on by the old S 200. Probably the IAF aircraft were F 16 Sufa ….with load out,….the Old Syrian radars will see them. One report was the Syrians fired first….missed….the IAF hit the SAM battery. And a Usual ( rolling eyes)….no Syrian Point defence such as Pantsir, TOR M or other got on the standoff strike to knock them down. Syrian airdefence is beyond B’tarded, …useless……Your Fired! Or the Russian systems are junk?…has to be one or the other. We will find out what really happened, pay attention at the next F-35 “Choker” deliveries. If F-35 is so “safe” as some say, IDF would fly inside Syrian airspace, not inside Lebanon. And nobody from western MSM even questions, what Isreaeli war planes are doing in Lebanese airspace? The epic double standard hypocrisy, Israeli military actions daily breaking International law, just like US/NATO, braking international laws and invading countries since WWII. Imagine MSM outrage if Iran sends few planes in Syria? Israel would cry they are under attack! They can say all they want, majority of US ppl is so brainwashed, nobody is even questioning the biggest blunder ever said(read from neo-con/lib prompter) by Trump- “Iran supports al-Qaida”, you think you heard it all but, PROJECTING is the main US/Israel foreign policy tool, the same goes for establishment. Everything to continue Pertodollar scam. The US Full spectrum dominance model ,…..F 35 is a form of this in roll out. The aircraft systems are evaluated. It’s the in between…. before AI aircraft . F 35 has superior interlink vs Russian…..F 35 is like Heart surgeon specialist. Russia has interlink and real time unlink to weapons. ..even on route Tasker redirect. F 35 via NATO/US give them a view board of say 100 Aircraft and the goal is to get 100 over 100 on what their mission profile download sets. The demand to control zenith the monkey in the Martin Baker ejection seat.. Being in a WW 2 fighter plane, or 60s/70s Era jets was real thrill and skill execution. Today’s pilot is a conditioned Monkey who is not allowed to deviate. That’s why some F 22 Pilots quit that program,…fly the download program and then your oxygen goes bad and you nearly die. As for IAF over the Lebanon….well ….Lebanon does not put up much of a dispute. They either get paid off or told by the UN to go cry . Russia says nothing about IAF over Lebanon. ……that in itself is a huge red flag. Until Putin tells Netanyahu to go tell hell….Israel will do as it pleases. Israel obviously didn’t get what it wanted…IE. ..Assad must go,…Syria conquered by ISUS. Putin has his agenda concerning oil,Nat/gas and the mid east…. Iran wants more Shia presence in Syria. …this means Putin has to curb that or work a trade off balance. Stork Industries presenting Tony the Stork. They’re specialized to bump into planes’ sides. Syrian air defenses were integrated with Russian air defenses several months ago, after the cruise missile attack; Russia can use its radar and EW capabilities to enhance Syrian air defense system, and quite likely, enhance lock on capability on IDF planes. US and Israeli arrogance regarding their “sophisticated weapons” has been humbled by realities Russia unveiled in Syria, without showing its hand much. Of course, the Russians are not going to fire their S400 to flex their muscles, they can assist the Syrians to fire their modernized S200 missiles with relatively similar results the S400 would yield. Are you saying there are No….Pantsir,TOR M or even Shilka with working radar that could not point defence protect that SAA SAM battery near Damascus? The above systems are designed for point defence, …. 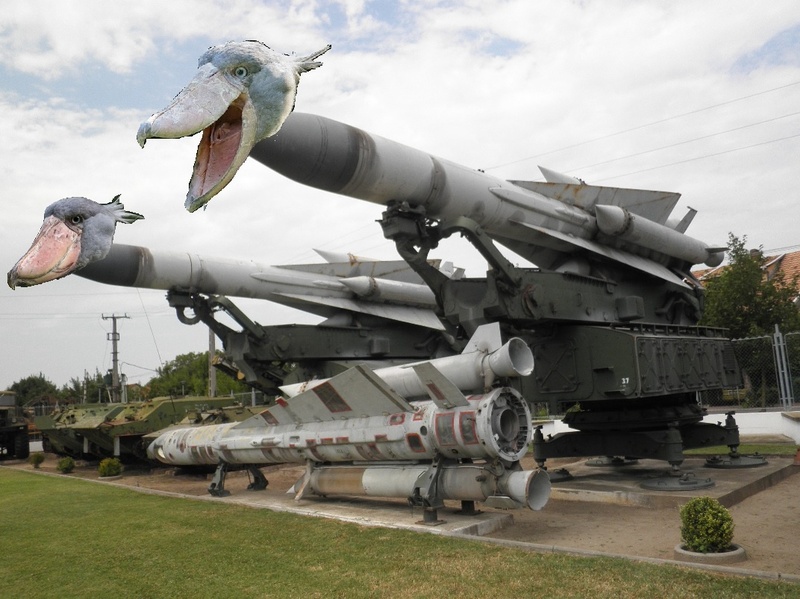 Aside from the Turk F 4 Reece downed early in the war, ….Syrian Air defence is crap! Has to be one or the other. ….has to. Based on what I know, Syria has some Pantsir units of older model, I am not sure how they are deployed, possibly closer to Damascus. Their missile systems are old, with old radars and sensors, however, since the Russians came to Syria they have been re modernized by the Russians and Iranians. Israel is not overflying Syria, they are getting close to the Syrian border and fire standoff weapons. Russia, Iran and Syria are playing a cat and mouse game ( or a chess game) with the IAF, as I said in the previous post, Syrian air defenses have been integrated with Russian air defenses; Russia does not need to fire missiles at IAF aircraft, they can assist Syria at present and future to defend itself using existing equipment…..or future weapon deliveries. SA2 is a monster at 7 tons and 200kgs warhead, it was designed to bring down bombers, it can be effective when placed in the proximity of an aircraft, even an F35. The Turkish F4 was shot down by a Pantsair unit. It’s probable Syria never did shoot down an IAF jet from a year or so back with S 200. It’s possible 1 IAF jet got damaged by proximity frag warhead. Israel has a burr up its @ss over Syria S 200,….so it must have cost the Zionist some big money in repairs and question why IAF got clipped by it. I try to be fair/balanced concerning what Syrian Air defence can and cannot do. Draw a radar arc circle from Damascus and see how obvious it is that this sphere is 1st Order defence demand due to its close proximity to Israel. Syria has dozens upon dozens of point defence assets for this quadrant. That Israel gets past everything for 6 years is unacceptable ! Since Russia entered Syria in 2015,….the situation has actually become worse. Israel’s having some shove it around since match with Russia. If I have a few Million for point air defence,….Am I going to buy Pantsir, or TOR M after the dismal performance witnessed in Syria after 6 years? Syrian air defenses are obsolete as a result of neglect and lack of modern acquisitions, since Russia was trying to be a “a good member” in the G8 club. For point defenses Syria has about 50 early version Pantsairs, their deployment location is uncertain, the Pantsair would be far more effective if employed with Tor M2 missiles (a weapon Syria does not have) to take out glide bombs or Popeye missiles…etc. Training and proficiency of the Pantsair crews are a factor, as well as willingness by the Syrian command to utilize them. The SA 200 can be effective when accurate guidance is available, in my opinion, many times Russia would allow Syria to take certain hits in order to analyze the performance and efficacy of Israeli weapons in order to develop countermeasures. We will see if IAF will be conducting air incursions into Lebanon to attack targets in Syria, or they have been deterred by this last incident. Syria has BUK M2E. …article states it can react to cruise missiles. Those are the most advanced missiles in their inventory, I personally would not use them to shoot down Popeye or other standoff weapons. Ideal target for them would be aircraft. I think a friendly phone call from the Russians is a more likely cause of this change in behavior. america is now under GOD`S JUDGMENT ! THE BIBLE SAYS WHO GOD BLESS NO ONE CURSE AND WHO GOD CURSE NO ONE BLESS NOT THE F 35 OR F 22 RAPTOR ! If the s 200 can do that what will the S 300 ,S 400 OR THE NEW KING S 500 THAT WILL HUMBLE the little king called america ! FOR ALL THE EVILS THAT AMERICA AND THESE FAKE JEWS HAVE DONE TO THE WORLD ,NOW THEIR CLOAK OF INVINCIBILITY IS CRUMBLING RIGHT BEFORE OUR EYES ! ALL PRAISE TO YOU LORD GOD ALMIGHTY ,LORD JESUS, LORD HOLY SPIRIT ! BUY THE WAY ISRAEL [FAKE JEWS] I DID NOT KNOW THAT A BIRD CAN SHOOT DOWN A 100 MILLION DOLLAR FIGHTER JET ! THE KING IS NAKED AND SO THE END OF AMERICA IS NEAR ! The timing seems significant. I’m now thinking that perhaps the Syrian missile response was a demonstration timed to coincide with Shoigu’s visit (easily organised if IAF jets violate Syrian airspace frequently), and the Israeli response – inevitable like a robot – was a bit of an embarrassment to the jewish state. Like an admission during Shoigu’s visit, that something had “come up”! And that something had come down. Kind of funny don’t you think. Something tells me that the IAF response destroyed almost nothing – the Syrians probably set up a bogus radar in a shed – how hard can it be? That probably was the “material damage” Syrians stated. I guess Israel doesn’t want to lose “invisible” planes anymore, even the might F-15 and F-16 look prey nowadays.